Cross Country Tours and our holiday brand All Australian Journeys provide day tours, extended holidays, international experiences and customised group charters. We specialise in holidays for the over 50s age group. Our seniors coach tours travel to iconic Australian destinations as well as hidden gems and unique character destinations; our regularly changing tour selection also includes some of the most memorable cruise holidays, rail journeys and flights to create experiences you will never forget. Family owned and operated for more than 35 years, Cross Country Tours began coach tours in Brisbane, Queensland in 1981. Building our business on the foundation of family values and customer service, we have seen Cross Country Tours continue to grow by always putting our customer first. 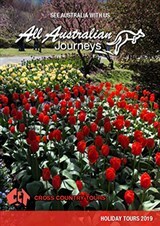 In November 2016, Cross Country Tours purchased All Australian Journeys and Northern Highland Travel, based in The Hunter Valley, New South Wales. With a similar 28 year history as a family owned business, we are excited about making memorable travel experiences even more accessible to customers across Australia. We believe that the shared strengths of our two businesses will help deliver greater choice and value for money for our clients into the future. The combined experience of our two businesses will see tourism in Australia continue to grow. 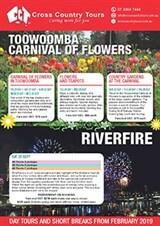 Our family of brands also includes Hunter Valley Coaches and Woodys Café and Conference Centre. We commit to always putting you first, with friendly, courteous, awesome service. Our tours will always be of exceptional quality and we will always communicate with you to ensure you have all the details you need to know for a great getaway. We will always honour our commitments to you absolutely. Our company is safe and secureall client funds are held in a client trust accountmeaning that if for any reason a refund is necessary, your money is secure. We offer our clients a Travellers Refund Guarantee for tours solely operated by Cross Country Tours and All Australian Journeys. Read about our cancellation policy. Read more about our commitments to you here. Our team looks forward to welcoming you into our family. Our professional, qualified drivers are friendly and experienced in a variety of conditions and drive to ensure your comfort on board our vehicles. Together with our hostesses and tour directors, our on road teams ensure you have all the information you need about your holiday and that you dont miss a thing on your holiday. Our office staff plan and book all our tours and manage customer bookings and payments. If you have any questions about your upcoming holiday or day tour, your customer information or about where to travel to next, please dont hesitate to get in touch. Above all, our team believes in exceptional, friendly customer service. Read more about our commitment to you, and please get in touch to let us know your feedback. We own and operate a fleet of luxury touring coaches for you to travel in comfort. Read more about our coaches here. 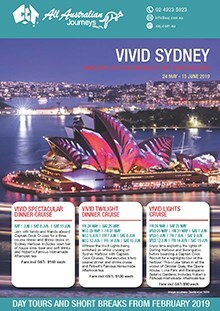 Find out more about an All Australian Journeys or Cross Country Tours holiday. Find out more about our charters.